An UNSCRIPTED interview with Catherine Gund about CHAVELA and MORE! We love this writeup and in-depth interview with Catherine Gund by Margarita Sophia Cortes! You can read the full article here and watch the full interview below! 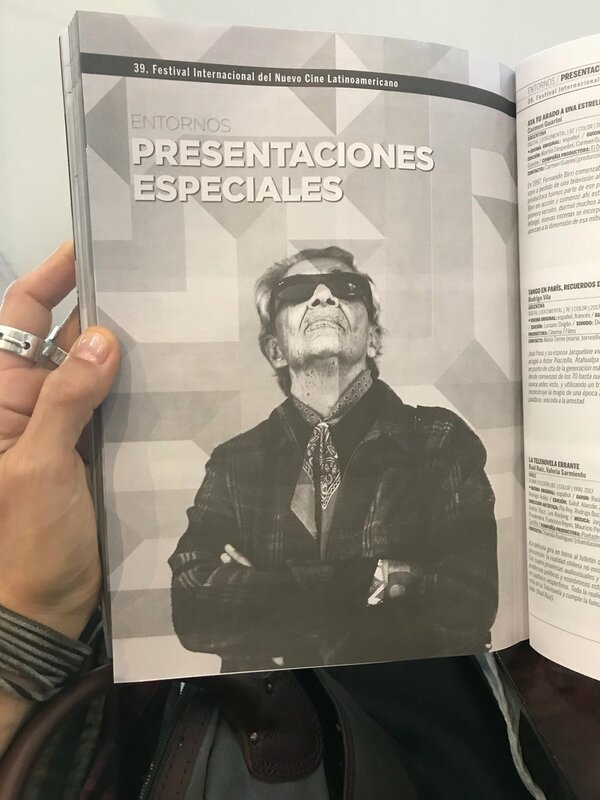 "[Chavela] draws in audiences immediately as it begins with the Chavela Vargas saying “Ask me where I’m going, not where I’ve been.” Just as Chavela herself was a feminist muse for women, this documentary, made by women filmmakers also mirror the importance of women’s voices. Chavela is available now on iTunes, Amazon Instant, or GooglePlay and on DVD with special bonus features. If you still haven't had a chance to watch Dispatches from Cleveland, here's your chance! 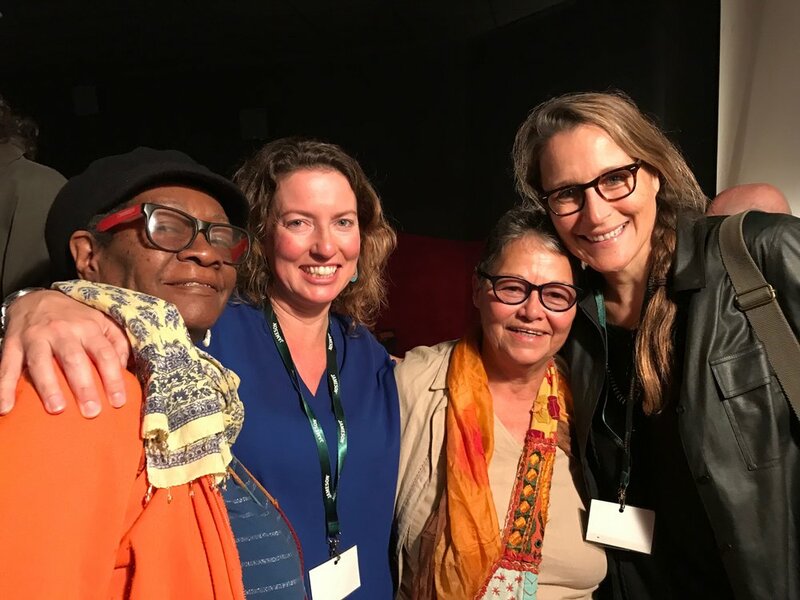 A film called "poignant, sobering, and powerful... a galvanizing tool, a way to empower people and convince them to get involved in their local communities, and work to make a difference" by Annie Zaleski of The Cleveland Film Society. Be moved! Be inspired! Create change! Free Speech TV is one of DFC's partners. It is a national, independent news network committed to advancing progressive social change. As the alternative to television networks owned by billionaires, governments and corporations, our network amplifies underrepresented voices and those working on the front lines of social, economic and environmental justice. Chavela is an official selection of the 39th Festival Internacional Del Nuevo Cine Latinoamericano! Click HERE for more info! We hope to see you there. POST SCREENING UPDATE: Chavela was beloved in Cuba! Check out the beauty and the magic of the festival and Q&A by Catherine Gund below and read an article about it HERE! SO many of you have asked us about getting Chavela on DVD and we're proud to announce it's almost HERE! Pre-order through the Aubin Pictures shop and receive a printable holiday note to inform your loved one Chavela is on her way. Now you can sing along with Chavela, replay all your favorite scenes, and enjoy some exclusive content that didn't make it to the final cut! We can't wait for all of you to receive your Chavela DVD and keep finding ways to celebrate her! It happened! 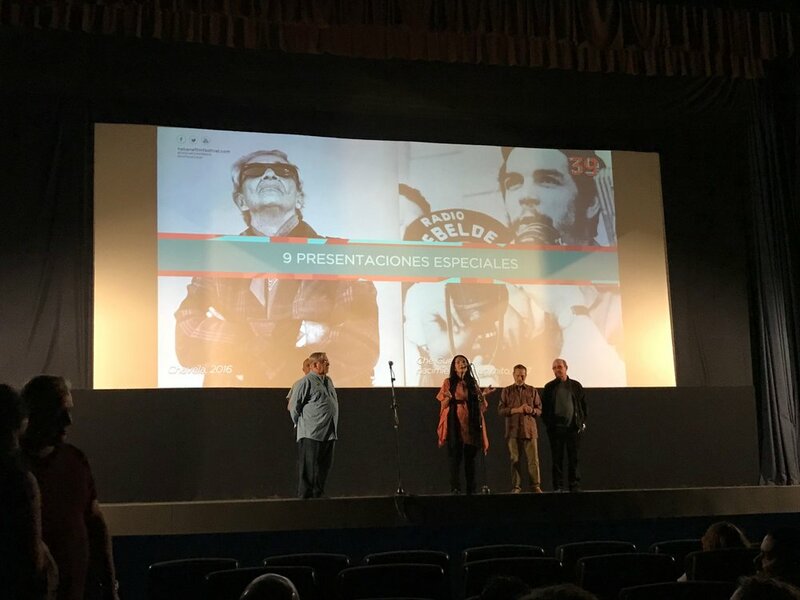 Chavela screened in Costa Rica (where Chavela was born) at the Costa Rica Festival de Cine. Two December screenings to be exact! What a wonderful experience, to be a part of a line-up that celebrated such a wide variety of films. Beautiful imagery, unique storytelling, and work that was created by great filmmakers. To those who came out for Chavela, definitely stick around for the other films you might like because it's so worth it! Their mission: "The CRFIC is a still young and evolving festival, but eager to grow and consolidate an inclusive and humanist imprint, respectful of any artistic or individual expression, and that recognizes in the cinematographic art an expeditious way for spiritual nourishment and entertainment. The invitation is to live, dream and experience the CRFIC, a festival in which all the cinematographic modalities and narrative strategies coexist, because what most excites us are the stories that the films tell." For more info click HERE. In partnership with Open City Docs, the Fringe Festival in London presented a masterclass last month with our very own Emmy-nominated director, producer, writer, and activist Catherine Gund, whose work is showcased in this year's festival: Chavela, Born to Fly: Elizabeth Streb vs Gravity and a series of shorts from her activist film archives. Cat talked about her work documenting the lives of LGBTIQ+ people and bringing queer stories to the screen. She also screened excerpts from her work: Keep Your Laws Off My Body, B.U.C.K.LE., Cuz It's Boy, LUST Plenary, & DIVA TV. A large part of being involved in social work includes being a conversation-starter so participating in an event that holds a space for and celebrates that is truly special. We thank you Fringe Fest and thank you, London! We're SO excited to announce that our feature documentary film, Dispatches From Cleveland, had its NYC premiere at Maysles Documentary Center in Harlem on Monday, November 6 2017! The theater was PACKED and was followed by an amazing conversation about social justice, police brutality, and what it means to be outspoken about these issues in the current political climate. 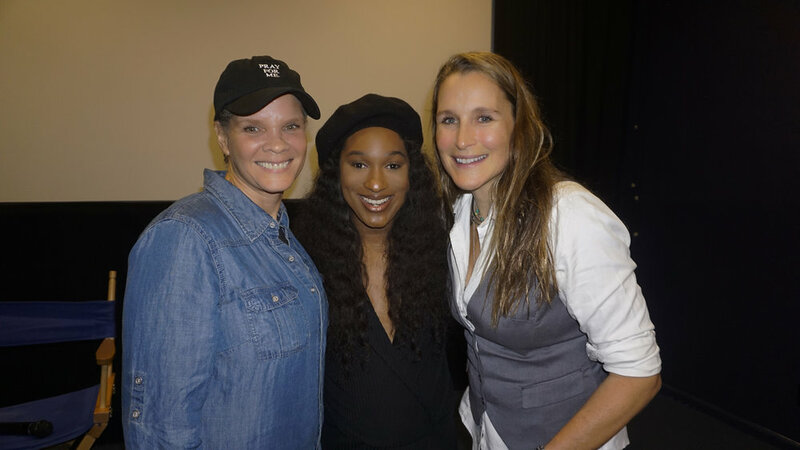 Learn more about the film HERE, check out some photos below, and thank you so much to everyone who showed up and made this event such a wonderful success! Let's keep the conversation going. To our film-photograph-junkies, black and white portrait-aficionados, and flat-out Chavela fans - this one’s for you! Around 2005, Guadalajara-based visual artist Maj Lindström took these breathtaking photos of the badass woman herself and now you can order from these three 20x30cm numbered limited edition Chavela prints! Just in time for the holiday season you say? You bet! They come carefully wrapped and quickly delivered to your doorstep (or the doorstep of whoever you address it to, if you’re feeling extra generous under the holiday spirit). Indeed, rare photographs like these often go for over $850, but talented photographer Maj Lindström is offering each print for for $115 for a limited time (and all proceeds go directly to the artist). 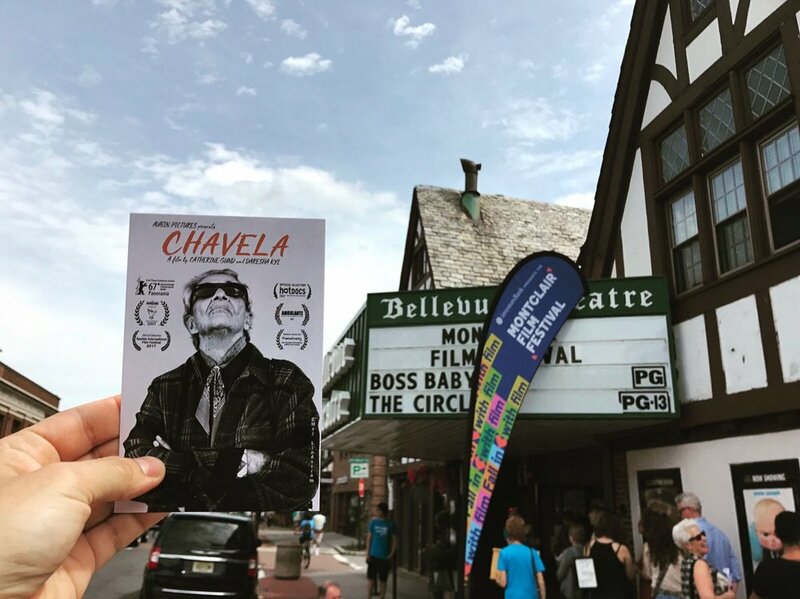 After a long journey with audiences in many corners domestically and internationally, we’re excited to finally announce that Chavela has its NYC theatrical release at Film Forum TODAY! Don’t miss your chance to witness her greatness and humanness and musical-ness on the big screen. If you can’t make it to the premiere, no worries! It will have a two-week run so make sure you secure your tickets ASAP! Click HERE for more information. Filmmaking is a collaborative art! 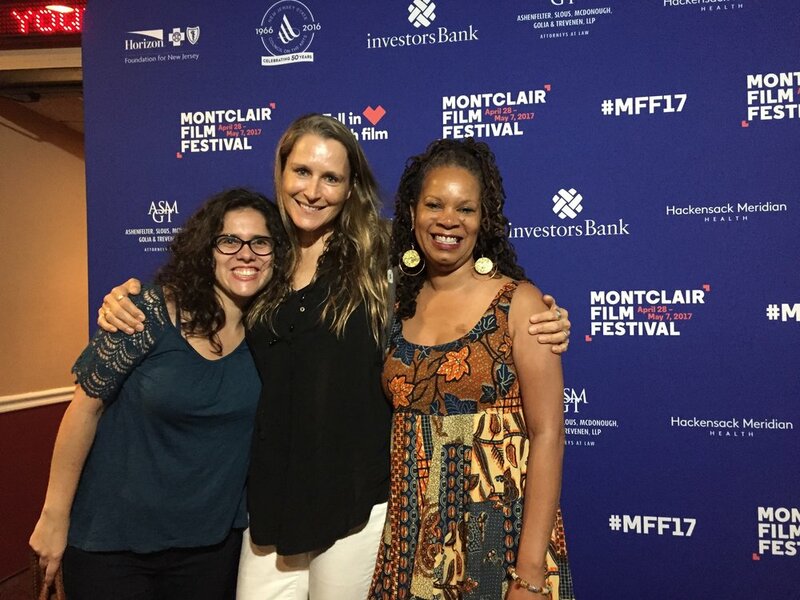 So you can imagine how special it was for members of the Chavela team to reunite at our Montclair Film Festival screening on April 29, 2017. We had a wonderful crowd, excellent Q&A, and an epic picnic in the sun afterwards. So much love and laughter in beautiful Montclair! So we’d like to extend a huge thank you to our NJ audience for showing up to support Chavela. We had a great time and your lively reactions in the theater along with your moving comments afterwards meant the world to the Chavela team. EAI continues our 45th anniversary “Edited at EAI” series with an evening of activist video work from the late 1980s through the mid-1990s. Shot largely on low-end consumer equipment and edited, often off-hours, at EAI, these works use video as an activist tool, confronting urgent issues around the AIDS crisis, race, gender, and sexuality. Videos by ACT UP affinity groups DIVA TV (Damned Interfering Video Activist Television) and House of Color, as well as art collective X-PRZ, will be screened along with work by artists Robert Beck and Tom Kalin. Although rooted in the specific political and cultural contexts of that moment, these powerful activist voices continue to resonate and find relevance today. SEEKING SMART SOCIALLY MINDED RESEARCH SAAVY INTERNS FOR THE FALL! We love our interns. We love listening to their perspectives and the way they see the world. We love helping them hone their skills as they learn about what it takes to make a documentary film. We also love hearing about all of their adventures after they leave us to pursue their dreams. Which is why we would love to meet you! We are seeking interns, available at least 15 hours per week, to assist with outreach and research for our documentary projects, social media, and marketing, as well as general office tasks. Our ideal candidate is motivated, creative and hardworking, with an interest in social justice, arts, culture, and filmmaking. Please email a resume and brief letter explaining your interests to Laura Pilloni: office@aubinpictures.com. Make sure to include your days/hours of availability, and if you seem like a good fit we will contact you to schedule an interview. We look forward to hearing from you! Read more about Aubin and our internships here. Meet Crystal M., one of our Spring & Summer Interns who is leaving us for college! "This internship has been awesome because I'm able to keep myself updated with the important topics and events going on in the real world, and engage others, as well. It's really exciting to be involved with current events, and to blend my interests and skills in photography and social justice into Aubin's blogs, website, and social media outreach. Working with Aubin has given me many opportunities to explore, and learn more about my own skills as well as what's going on in the world." Thanks for all your hard work Crystal! Good luck! Aubin Pictures is seeking interns, available at least 15 hours per week to assist with outreach and research for our documentary projects, social media and marketing for our organization, as well as general office tasks. Our ideal candidate is motivated, creative and hardworking, with an interest in the social justice, arts, culture, and filmmaking. Errand-running, including post office mailing, office supplies, etc. Aubin Pictures is a not-for-profit documentary media production company focused on arts and culture, sexuality and gender, reproductive health and rights, and other social justice issues. Its films have premiered at numerous festivals such as Sundance, the Berlin Film Festival, Tribeca, SXSW, the Seattle International Film Festival, and AFI Fest. Aubin Pictures’ most recent project – Born to Fly: Elizabeth Streb vs. Gravity (SXSW, theatrical release, PBS broadcast) – focuses on the life, art, and philosophies of choreographer Elizabeth Streb, who is known as the Evel Knievel of dance and will be released in theaters this fall. Previous Aubin productions include What’s On Your Plate?, a witty and provocative documentary about kids and food politics (premiered at the Berlin Film Festival, shown on Discovery Channel’s Planet Green and screened nationwide); Motherland Afghanistan (AFI Fest Official Selection; PBS broadcast); and A Touch of Greatness (Best Documentary Award, Hamptons Film Festival, PBS broadcast; Emmy nomination). In addition to producing films, Aubin works to create and maintain national and global networks for social change in relation to all of its projects. Catherine Gund, the founder of Aubin Pictures, is an Emmy Award-nominated producer, director, writer and activist. Her media work — which focuses on arts and culture, the environment and health, and other social justice issues — has screened around the world. 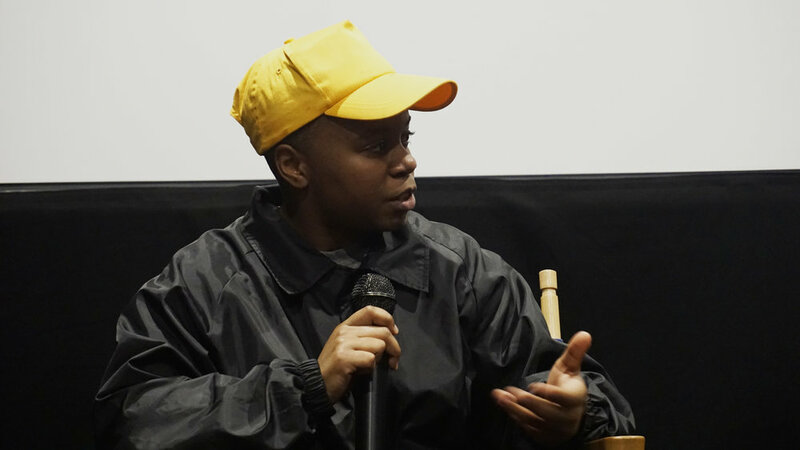 As a filmmaker who has worked in all aspects of production for 25 years, her interest is in telling stories and finding the details that educate and inspire. 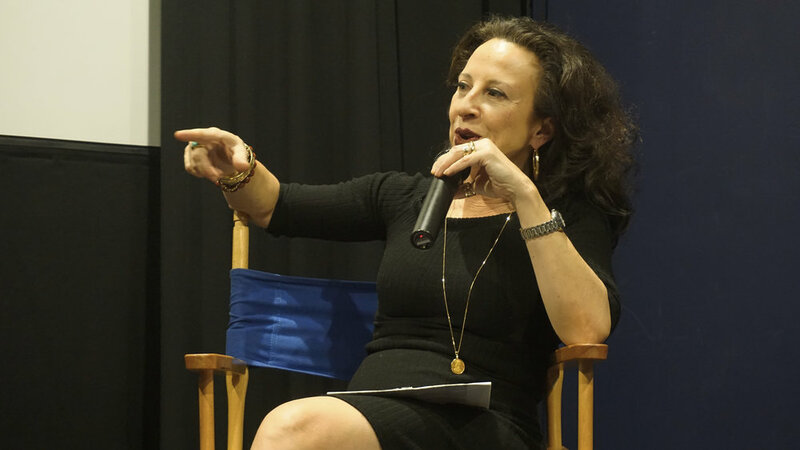 In addition to founding Aubin Pictures, she co-founded DIVA-TV, the Third Wave Foundation and was on the founding board of Working Films. She has served on the advisory council for MediaRights.org and as a consultant for the Robeson Fund. Please email a resume and brief letter explaining your interests to Laura Tatham: laura@aubinpictures.com. Please also include your days/hours of availability. If chosen, we will contact you to schedule an interview. We look forward to hearing from you. It’s a new year, and we have some exciting changes for our Board of Directors for 2015. First, we want to send our gratitude to Julie Tolentino, who will be stepping down from the board this year. Tolentino is a dancer and choreographer who creates intimate solo movement-based installations including time-based durational performances, sculptural endurance events and audio soundscapes. Tolentino has served as a committed board member for the last 12 years, and we are sad to see her go. 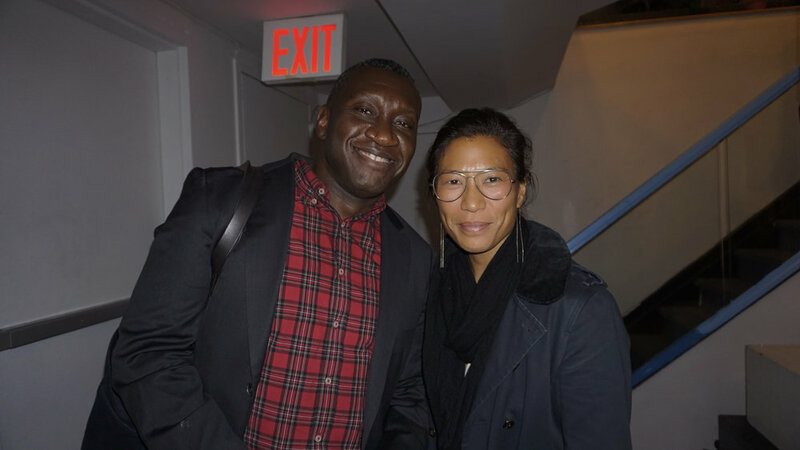 We would also like to welcome Marques McClary and Vivien Labaton to the Aubin Pictures Board of Directors. Marques is currently Director of Marketing and Communications for the American Academy in Rome, which supports innovative artists, writers, and scholars living and working together in a dynamic international community. Marques also has broad experience working within the MSM and HIV patient/advocacy community. Vivien Labaton is Co-Founder and Co-Executive Director of Make it Work, a campaign to advance the economic security of women and families. Labaton started her career working with Gloria Steinem and as the founding Director of the Third Wave Foundation and is also the co-editor of The Fire This Time: Young Activists and the New Feminism (Anchor Books). Finally, with the new year comes a new president, Dána-Ain Davis. Dána-Ain Davis Ph.D., is on the Faculty in Anthropology at the Graduate Center, City University of New York and is the Associate Chair of the MA Program in Urban Affairs at Queens College. Davis was a founding board member of Aubin Pictures, and we look forward to her continued wisdom and guidance. Aubin Pictures is hiring fall interns. 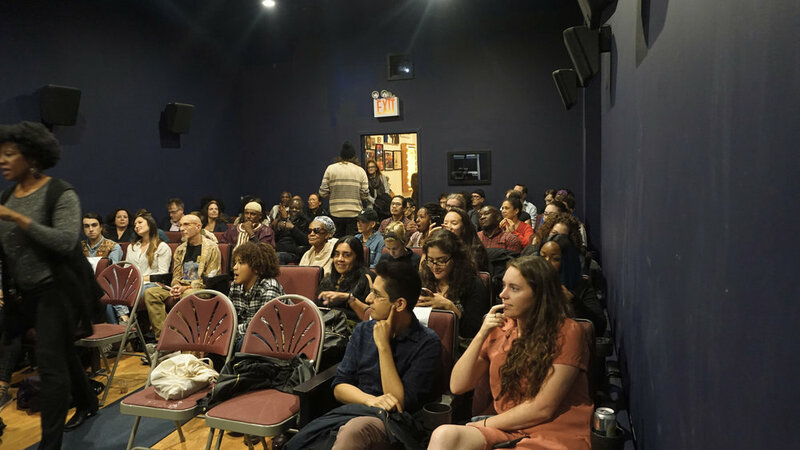 Come be a part of a progressive non-profit while learning about the documentary film biz. You can read the full description here. What has BORN TO FLY been up to lately? It has been a jam-packed past couple of months. The festival craziness all began with our acceptance into the SXSW Film Festival in March. We were so happy to hear that BORN TO FLY was 1 of the 8 documentaries, chosen out of 892, that was shown at SXSW. It was Catherine's first documentary at SXSW, so to celebrate both herself and featured choreographer Elizabeth Streb went down to enjoy the festival and participate in some Q&A's. All around, SXSW was an incredible world premier, a great way to kick off our later festival and theatrical showings. Towards the end of the month, BORN TO FLY traveled from Idaho to Ohio showing in the Sun Valley Film Festival in Sun Valley, ID and the Cleveland International Film Festival in Cleveland, OH. BORN TO FLY then traveled south in the beginning of April to North Carolina, showing at the Full Frame Documentary Film Festival. In May, Streb and her dancers' passion for extreme action was shared at MountainFilm Festival in Telluride, Colorado. Former STREB dancer, Hope Clark, went down and took many great photos! We then hit the West Coast for the Seattle International Film Festival in Seattle, Washington where we had three great screenings. Early June was very exciting for us as we premiered internationally! We had two screenings at the Sydney International Film Festival in Sydney, Australia and two at Sheffield Doc/Fest in Sheffield, UK! Director Catherine and son Tenzin took advantage of our acceptance into Sheffield and traveled to England to enjoy the festival! Check out the pics on our Facebook page! And, in the middle of all this craziness, BORN TO FLY had its New York premier at the Brooklyn Film Festival. Later in the week, BORN TO FLY is going out to Oklahoma City, Oklahoma for the deadCenter Film Festival and then heading back to the West Coast towards the end of June for its California premier in San Francisco at the Frameline International Film Festival. The last two events we have planned are very exciting because they are our theatrical screenings. From coast to coast, New York City to Los Angeles, BORN TO FLY will be showing at Film Forum from September 10th to 16th, and at Laemmle - Noho 7 from September 26th to October 2nd. These theatrical showings are a great way to make our film more accessible to the public and a perfect way to wrap up this amazing year! We are so thankful for everything!